Prepare yourself to enjoy extreme car driving and unpredictable mind blowing realistic lightning car racing fun in best free stunting and driving games on race track and stunt car track. Super Heroes on Mcqueen cars batman , goku , superman , spiderman , wolverine, deadpool , monster hulk , iron man , joker , monster bulk , wonder woman , black panther ,doctor strange , captain america ,flash super speed , thor , incredible bulk and amazing spider spidey man.are their for you to give you ultimate driving pleasure. Experience Extreme Speed on super lightning cars in this sports arena and enjoy long jumps on sporty ramps. First time Super Heroes are on mcqueen lightning cars. Mcqueen Cars Superhero Lightning Race Game is awesome super league heroes racing game . 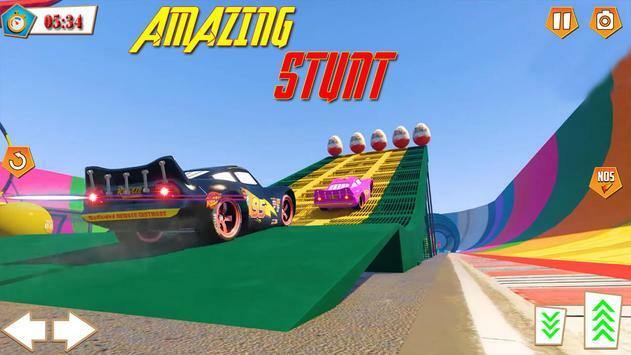 Drive your custom superheroes cars along with superheroes on endless stunt car tracks, earn cash point rewards by performing bang stunt, extreme stunts and freestyle stunts and upgrade your superheroes skills and increase your racing garage diversity. In this realistic car drive, you are the super hero speed racer who has to win this amazing race on risky ramps. Drive ahead and survey all racing tracks. Choose your favorite superfast highway racing car with your favorite superhero for the endless highway car driving on skyhigh tracks. Superheroes Racing will provide to enjoy the diversified experience of advance fast racing on off road race tracks. In this top racing games and speed car race you have to dodge and overtake vehicles with speed in stunt zone and complete racing challenge of this lightning speed mcqueen super cars racing and extreme car driving. You can include this master piece into the Sup top free super heroes cars rider sports car driving games. You will never feel boring by playing such motocross, racing games. In this raider rush session, you have played top Transworld, crew car enjoyable, furious car, ultimate driving, moto racer rider, rush games, extreme jetski, battler, superhero kiddy flying games in the Super city simulator environment. This top racing games includes super easy and awesome game play. Choose your Super Hero and Super racing car. 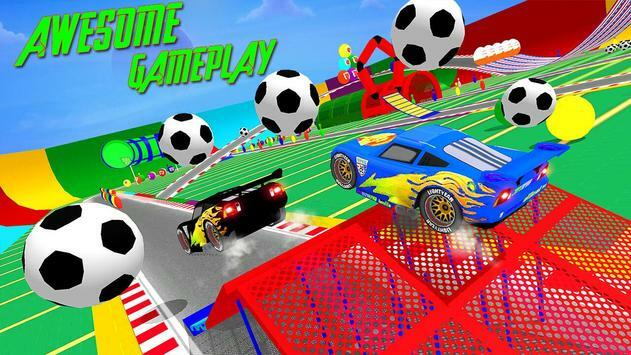 Get in your super car, drive through racing tracks, lapping your racing rivals go through the check points , perform crazy racing stunts and achieve the targeted score by hitting footballs in the given time . After that park your lightning car at the parking point to complete the level and unlock further levels and exciting lightning mcqueen cars. Just remember one thing, dont include this motor cross game into the meager cars games because this is super top extreme car racing game. This is best superhero kids racing games. Stunning HD graphics and smooth animations. Excited to enjoy Mcqueen Cars Superhero Lightning Race on the classic impossible race tracks. Just click on the install button and start enjoying crazy car racing and car stunts. 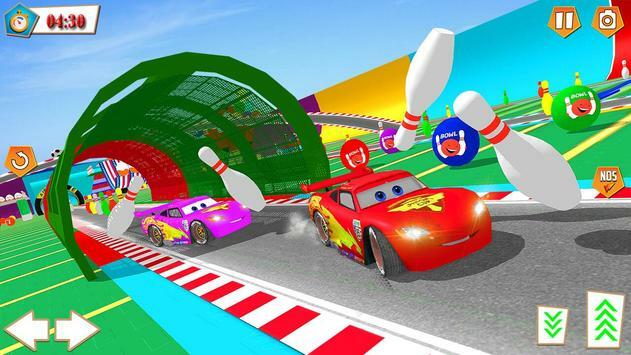 Please review Mcqueen Cars Superhero Lightning Race Game and submit your comments below. We will collect all comments in an effort to determine whether the Mcqueen Cars Superhero Lightning Race app is reliable, perform as expected and deliver the promised features and functionalities.